Mostly sunny. Patchy fog in the morning. Highs in the mid 60s. Northwest winds 5 to 10 mph. The Sanchez family asks for their privacy, local residents and students react to the turn of events on Jan. 15. The little blue house on Calado Avenue in Campbell has become a media circus, adding insult to injury as those inside mourn the death of two loved one: Jeanine Harms and brother Wayne Sanchez. A grief-stricken Jesus Sanchez was standing on his driveway Monday afternoon underneath a bright sunny sky and declined to speak to reporters saying enough had been written about his son, whom police said killed the main suspect in his sister's disappearance Saturday at about 9:20 p.m., at a nearby shopping center. "There's been too much publicity on this already. We just want to be left alone," he said. A woman who was standing next to him asked for reporters to respect the family's privacy. A neighbor shook Jesus Sanchez's hands and offered him his condolences. Still, local television stations were driving by the quiet Campbell neighborhood, many broadcasting the latest version of the story from the El Paseo de Saratoga shopping center where Sanchez, 52, is said to have confronted Maurice Nasmeh, 46, at the Red Robin restaurant and later killed him at nearby Peet's Coffee & Tea. The Sanchez home is about a mile away from the center, in the 1300 block of El Paseo de Saratoga, where three cities intersect, Jan Jose, Campbell and Saratoga. Across the street, the Westgate Mall, 1600 Saratoga Ave., was busy Monday with shoppers and visitors. Everyone was speaking about the horrific turn of events in the Harms' disappearance case. At the Red Robin restaurant, bartenders who knew Wayne Sanchez well, since he "was a regular" declined comment. Raul Aranda, the bartender on duty Monday afternoon, acknowledged knowing him, but manager Domingo Ramirez referred all inquiries to company headquarters. "It's terrible ... two people lost their lives," said Campbell resident Taylor Dickens, about Harms' murder and Wayne Sanchez "taking matters into his own hands to avenge her death. I would have been enraged, too." Jon Melum, of Cupertino, who frequents Peet's Coffee & Tea regularly, said although he regretted the murder-suicide having occurred at his favorite coffee shop, "It was a disgruntled brother who didn't like the way the system took care of what was going on," he said. "She [Harms] has been missing for nearly 10 years and he [Wayne Sanchez] took it upon himself to do justice. It's a shame all the way around. It's just unfortunate." Melum was referring to Nasmeh's arrest in 2004, but his later release from jail after charges were dropped due to insufficient evidence. Meanwhile, it was business as usual at Peet's, which opened to the public on Monday. It was closed on Sunday as staff cleaned up the mess left when Sanchez reportedly shot Nasmeh before leaving the establishment and then killing himself in the parking lot as San Jose police officers arrived on the scene. Students from nearby Saratoga High School were at the center Monday analyzing what had happened. "It was packed with people as many were going to dinner and to the movies," said Akash Kar, 16. "It's sad that it happened in our own backyard." Eric Chuang, 17, said the tragedy was eye-opening, especially in light of the Tucson and Chandler, Arizona shootings. "When you hear it happening here right in our own home where we pick up coffee or catch a movie, it definitely makes you sad." Friends and family of Wayne Sanchez continued posting condolences on Harms' memorial page, "Justice for Jeanine." "My prayers go out to everyone," posted Sabrina Rodrigues, who works at the Pruneyard Shopping Center in Campbell, the last place Harms was believed to have been seen before her disappearance. San Jose police spokesman Jose Garcia said it's likely that during Sanchez confronted Nasmeh about his sister's murder after spotting him at Red Robin. By the time police arrived on the scene, they found Sanchez in the parking lot, dead from an apparent self-inflicted gunshot wound, and Nasmeh's body inside Peet's. 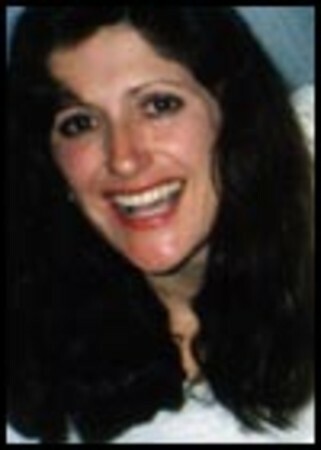 Harms disappeared July 27, 2001, after being seen with Nasmeh at Rock Bottom Brewery in the Pruneyard. In the years following her disappearance, her parents, Jesus and Georgette Sanchez pleaded with the public for help in finding their daughter, whose remains were never found. On Sunday, Garcia said investigators had been up all night trying to piece together what had happened. "Anytime we have a murder, it's tragic—especially any time we have a suicide combined with a murder," he said. "This case is ongoing; even though both people are deceased, we will be interviewing witnesses to make sure there's no foul play involved." Asked about motive, Garcia said the homicide unit suspects that Sanchez was upset with Nasmeh over Harms' disappearance. "We're still trying to confirm what his motive was, and the investigation could be delayed because of that," he said. Los Gatos-Monte Sereno Police Department spokesman Sgt. Kerry Harris said Nasmeh was arrested for the murder of Harms, but when problems with the Santa Clara County crime lab came to light, the charges were dropped at the request of the agency. Harris said Harms' case was a high-priority investigation for the department from the beginning. "We poured a lot of law enforcement resources into it ... It affected a lot of Los Gatos residents," he said. "Ms. Harms was well known and a well-liked lady, and her disappearance affected a lot of people, in addition to her family. "It's a huge tragedy," he added. Anyone with information about this case is urged to contact Det. Sgt. Tony Mata or Det. Sgt. Dave Gutierrez in the Homicide Unit of the San Jose Police Department, at 408- 277-5283. Persons wishing to remain anonymous may call the Silicon Valley Crime Stoppers at 408-947-STOP (7867) or visit svcrimestoppers.org/. They may be eligible for a reward. Persons with inquiries regarding the Harms case may contact the Los Gatos Police Department at 408-354-8600. Wayne Sanchez is not related to the writer of this story. What are your reactions to this case? Tell us in the comments. Great, we'll send you an email as soon as a follow-up is published! Your newsletter settings Get Patch in your inbox! Get Patch in your inbox! Campbell news, events, and deals, delivered straight to you. Patch Deals - Coming Soon! How can we improve Patch? Copyright © 2011 Patch. All Rights Reserved. Enter your tip here and it will be sent straight to Mayra Flores de Marcotte, Campbell Patch's (incredibly grateful) editor. Welcome to Patch Please sign up or log in to continue. Not a member of Patch yet? Enter your information to sign up. You’ll be able to add announcements, write reviews, upload pictures and video, and weigh in on the issues that are important to you. I want to receive the Campbell daily newsletter and updates about Patch!